1. 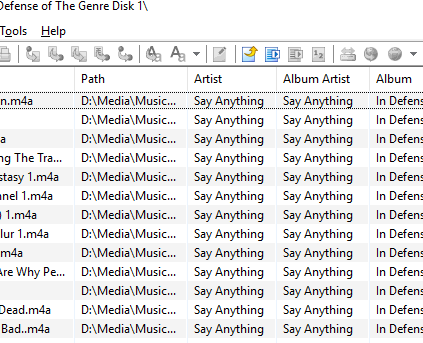 I search for an artist by entering string "Say Anything" in search box and searching. 2. Results do not include the artist, results do include two albums by that artist. I should see the artist (clickable result) in the list of search results, grouped under the "Artists" section. I get results in each sections, including albums by the artist in the "Albums" section, but the artist is missing from the "Artists" section. Album view with missing artist correctly displayed. 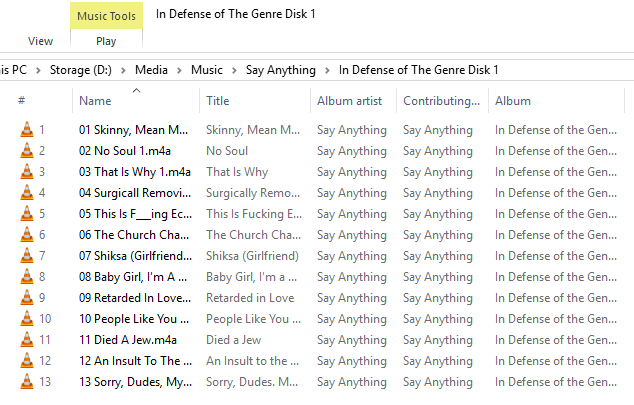 Mp3tag view of Album, showing all tracks with correct fields each track tag.